In the future portrayed in The Interrogation of Ashala Wolf (Walker Books, 2012) by Ambelin Kwaymullina, a new order arises: the world reduced to one continent, the people decimated past the point of racism. The new order follows a decree of Balance, handed down by a Noah-like figure, Hoffman, and a series of decrees are implemented to attempt to avoid such global catastrophe again. Technology is restricted, for instance; no nuclear power of genetic modification, few cars, a limited number of laser-like weapons for the security force. The full extent of just what tech is available to whom is is sketchily drawn, with just enough details provided to allow the story to unfold. Several hundred years after the Reckoning, humanity has found its own genetic modification – the development of powers, restricted one per person, a little like the X-Men: one chap can move air to cause effects such as flight and telekinesis; a girl can interfere with memories; our titular heroine can sleepwalk into a dream state where the rules of physics do not apply, but the results are enacted in the real world. It’s exciting stuff, especially when one adds in sentient trees and telepathic dinosaurs, and creation spirits who have helped breathe new life into the devastated planet. These powers are the source of conflict for the story, with government enforcers testing children for special abilities and decreeing them either useful or detrimental to society. Using those powers is not without its risks, which helps to make them more convincing, and offers balance to what can be a simplistic ‘technology=bad nature=good’ argument. Ashala heads a band of child runaways who live in the sentient forest, hunted and feared by society at large, but not without supporters: there is a rebel movement of families tired of giving up their talented children, of free thinkers who don’t like to see the gifted persecuted and locked away. The story opens with Ashala a prisoner, her Mengele-like persecutors seeking to identify an imminent threat to their program, and Ashala harbouring more secrets than even they, or she, might suspect. This is a story of community, of mutual care and understanding, as well as a plea to respect the planet and the beliefs that have formed it. While ill-defined ‘advanced technology’ is seen as the key cause of the end of the world, and spirit the tool of the natural world’s rebirth, it is not technology alone that is to blame, but rather, as Hoffman is quoted as saying, ‘advances in technology could never compensate for failures in empathy’. Reading current headlines, it’s a point worth making. In this action story with its underlying and competently drawn romance subplot, the theme of the strength of the pack – of mutual care and concern – gives the book its heart. There are echoes of the colonial devastation of Indigenous Australia subtly vibrating through the story as Ashala draws strength from the memory and inspiration of her friends. 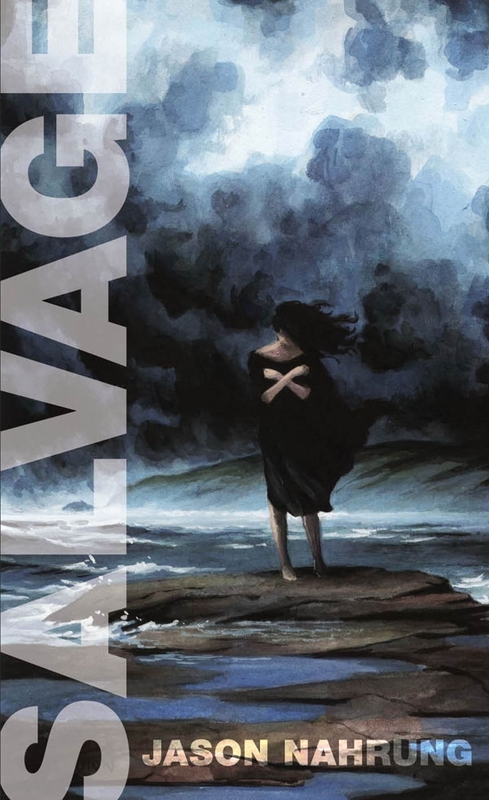 The ending is perhaps too neat, but love will out, and the story is wrapped up so that one is left wondering where to from here, given this is the first of The Tribe series. The answer lies in the synopsis for book 2, The Disappearance of Ember Crow , which came out in November last year, and begins a new plot set in the same world, with a new challenge for Ashala to overcome. No doubt this will see further exploration of intriguing elements of the world to come, such as the totem animals the children of the Firstwood embrace, and the structure of the broader world with its delicate balance of nature and technology. Western Australian Kwaymullina, of the Palyku people, has written several picture books, with this her first novel; it’s a quick and engaging read with clear appeal for young adult readers. 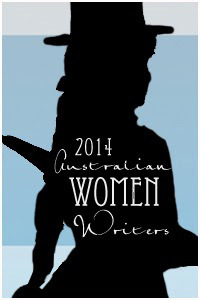 This is the second of my reviews in the Australian Women Writers Challenge. 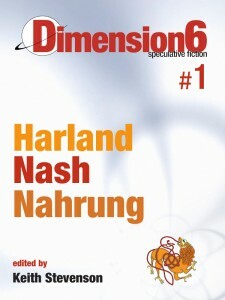 The covers are off Dimension6, Couer de Lion‘s free digital spec fic mag hitting the interwebs on April 4. It’s a pleasure to be sharing pixels with Richard Harland and Charlotte Nash, who has not only hit the shelves with some rural medical romance but is a dab hand in the fantastic, too — see her ‘The Ship’s Doctor‘ for a taste. And obviously D6, for more.